If you’re searching for homes for sale in Blowing Rock, you can consider your search successful. The Mountain Group at Premier Sotheby’s International Realty welcomes you to our site, centered on a comprehensive guide of Blowing Rock’s housing market and more. From the inspiring beauty of the Blue Ridge Mountains to the charming village, Blowing Rock offers an appealing lifestyle to those seeking natural beauty, conveniences, and yet calmness. Blowing Rock is considered a refined resort town. Visitors come from near and far to spend a day, weekend, or season in their favorite mountain town. Attractions abound and recreational activities proliferate year round. 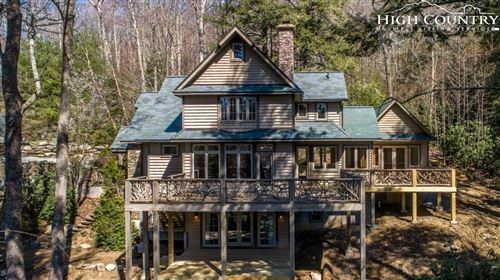 This is the foundation of Blowing Rock’s highly sought after real estate. Nestled in the High Country, it is celebrated for its unparalleled splendor, distinct seasons, and strong sense of community. The area has earned a reputation as a desirable place to reside, retire, or raise a family. From upscale condos to expansive retreats, there is a vast array of residential properties available in several price ranges. You’ll discover modern homes overlooking a golf course, charming cabins in valleys, houses with plenty of yard, and those with long-range views. Whether you’re a first-time buyer or someone who has an extensive portfolio of investments, you’ll enjoy seeing the listings of Blowing Rock. The opportunities to own a piece of Blowing Rock come in various shapes and sizes. Use our user-friendly property search to pinpoint the real estate that meets your needs. You could be just a few clicks away from your future home. Our expert agents will gladly guide you in your search, and are ready to take you behind the scenes of the Blowing Rock realty market. Western North Carolina is a delightful place to call home; you won’t want to pass up the pleasure. Browse our site to explore the exclusive land and homes for sale.